Stormwater runoff carries pollutants into Puget Sound. 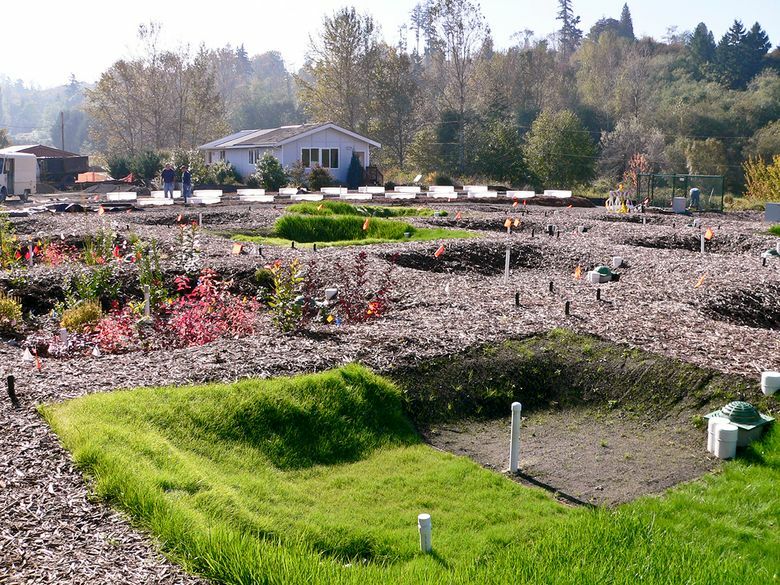 Using permeable pavement and smart landscaping protects water quality and salmon habitat. Stormwater is the No. 1 source of pollution in Puget Sound – damaging water quality and harming aquatic life like salmon, shellfish and whales. When it rains, water from developed areas flows downstream, carrying with it pollutants like fertilizers, toxic metals, pesticides and sediment. Low-impact development techniques like the use of permeable pavement can be used on a large scale by municipalities and industry to blunt the effects of stormwater. Boeing, Washington State University and the Washington Stormwater Center are partnering to research and develop durable, yet permeable pavement that allows water to slowly percolate into the ground But individual homeowners can play an important role in protecting water quality, too. Here in the wet and wild Pacific Northwest, we can create rain gardens to help reduce stormwater originating from our gutters, patios, roofs, lawns, and driveways. Rain gardens naturally filter the stormwater and slow its flow before it enters freshwater lakes, rivers, streams and the Sound. Reduce flooding on neighboring property, overflows in sewers and harmful erosion in streams. Experts from WSU offer tips on creating a custom rain garden at home. Don’t install a rain garden over a septic tank, or in a septic drain field. Do keep at least 50 feet between a rain garden and a septic system. Do call to check the location of utilities before you begin to dig (800-424-5555). Don’t plant in areas where water often puddles longer than 24 hours. Do stay 10 feet away from building foundations. Do stay at least 100 feet away from steep slopes or bluffs.